Our eCadets are Maisie, Layla, Freya, Sam, Lucy, Sophie, Phoebe, Joseph, Danny, Noah, James, Isaac, Olivia, Eve, Matilda and Fearne. We are the eCadets, we are responsible for keeping children safe on-line in school. The eCadets is an award winning programme which trains, empowers and supports a team of pupils to keep their friends safe online. This is our promise . . . This year a new member joined our team! This is SMART-e, our e-safety bear. He sits in our Reading Corner. 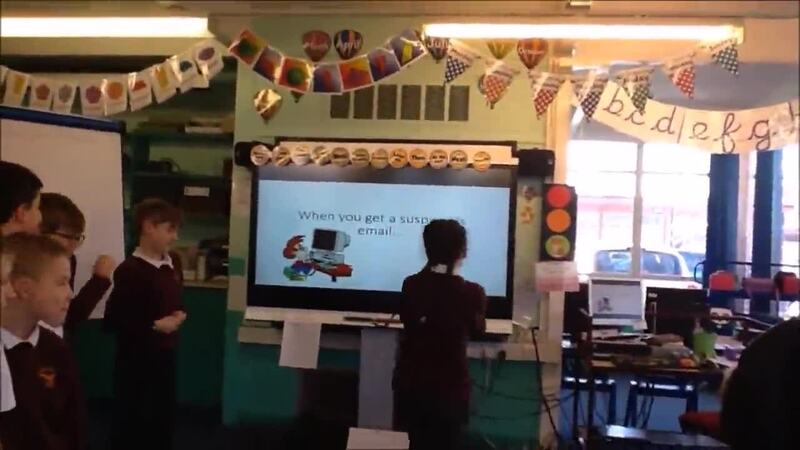 You can share your e-safety worries with him and eCadets will try to help as soon as they can!